This course is based on damage mechanisms in refining, petrochemical and other process industries. It focuses not only on different materials propertiesand process fluid characteristics but also on different processes environment parameters which leads to damage mechanisms. They can be interdependent and cause damage mechanisms to initiate, propagate individually or simultaneously. The course also contains the useful information like material selection, design considerations, operations, necessary to determine the causes of damages/ deterioration present and probable inspection. Various examination and testing methods, other techniques for determining the type size and location of damage mechanisms, monitoring or mitigation techniques for each damage mechanism also will be explained with case studies. Key parameters in each damage mechanism like material selection, design, fabrication, process control, etc. Critical factors involved in damage mechanism, their prevention / mitigation and monitoring methods. Assessment of various damage mechanism during Fitness for Service assesments (FFS), Remaining Life Assessments (RLA) or Risk Based Inspection Studies (RBI). Selection between various tests and examinations (or combination) to identify, locate and assess damage mechanisms. Similarities and differences in different damage mechanisms. This course is specifically beneficial for personnel involved in and responsible for determining cause for damage(s) / deterioration(s) observed or anticipated and for probability and degree of further damage that might occur in future during FFS assessments RLA, Risk based inspection studies etc. It also assists inspectors and examiners to perform their tasks effectively during in service Inspection of pressure vessels, piping and tanks. It is beneficial for engineers, supervisors and managers who are responsible for decision making during assessment of mechanical integrity or equipment reliability. Process and plant designers can add value during material selection and design by knowing causes of damage mechanisms at those stages. Operations personnel can understand various parameters affecting the damage mechanisms. Personnel involved in mitigation / monitoring of damage mechanisms shall have knowledge of various examination and testing techniques. Each attendee must bring a Laptop computer with Microsoft Operating System. 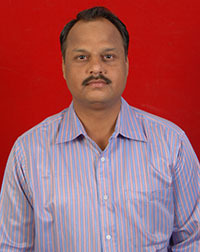 Chintamani M. Khade is a specialist on Materials & Damage Mechanisms. He has more than 19 years experience as Department Head of NDT, Welding Inspection, In Service Inspection in India, Middle East, Southeast Asia & Africa. Currently, he is the technical director of Empirical Technocrats. He conducted training for various API Certification Preparatory, NDE methods, ASNT & ISNT Level III, advanced NDT Methods, welding inspection, Construction codes, ASME Sections II, Section IX, Section V, ASME Sec. VIII div. 1, ASME B31.1, ASME B31.3, AWS D1.1, UT, MT, PT, VT, RT & Basic for ISO 9712 level 2 & level 3. He has been a team leader of 100+ multidiscipline NDT technicians, metallurgists & Welding inspectors during various shutdown jobs in Qatar Petroleum, Massaid refinery, Qatar in March – June 2005, March - April 2009 & October November 2009. Executed in service inspection of nearly 800 pressure vessels, Static & rotary equipments, Plant process piping & storage tanks as shutdown coordinator.